Every kitchen needs at least one really big pot! 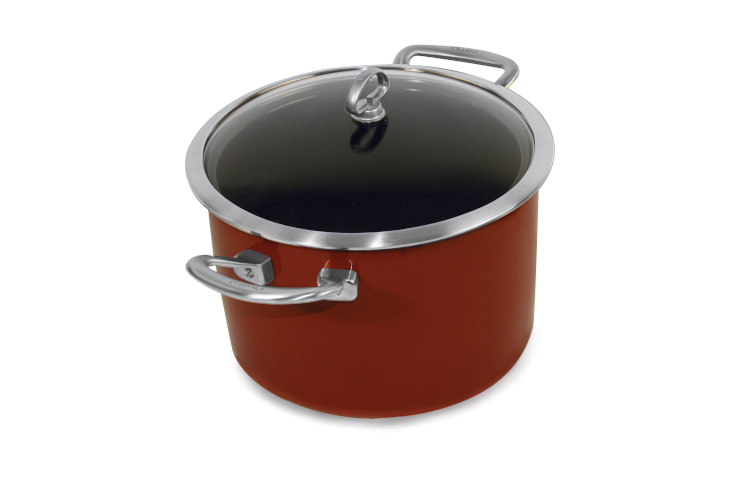 The 8 quart Stockpot in Chantal's Copper Fusion collection meets that need with its straight, deep sides and snug-fitting lid. You can keep an eye on your pasta sauce, chicken stock or batch of soup while you're cooking. For slow, even cooking you can't beat the even heat distribution provided by the copper plate fused to the carbon steel core. The stick resistant enamel cooking surface does not contain harmful chemicals and is non-reactive, not absorbing odors or flavors. Add this great piece to your collection today!